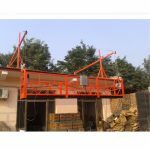 Aerial work platform s also called as mast climbing work platform, which is driven by motor and gear on rack, and moves up and down along the guiding mast. 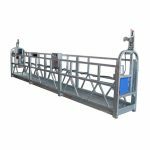 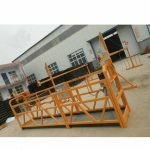 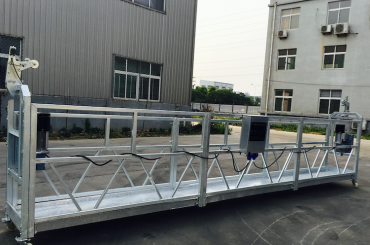 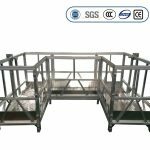 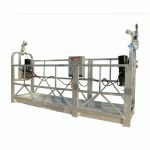 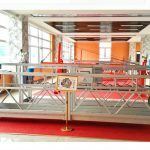 It is mainly composed of driving unit, chassis, mast sections, tripod deck, guardrails, tie-ins, electric control parts etc. 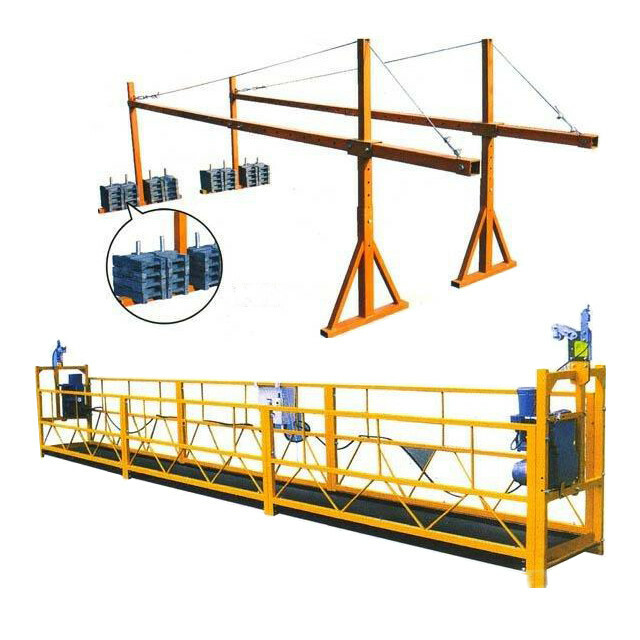 And has the advantages such as no precast foundation, heavy lifting capacity, high working efficiency, wide working area, great security, etc. 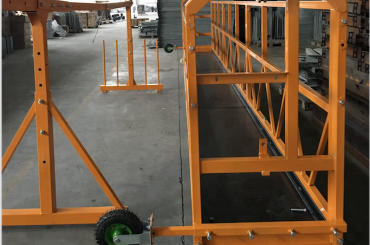 If can lift the passengers and goods exactly to the height needed, meanwhile allowing1-6 staff working on it. 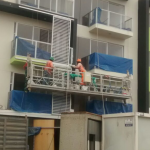 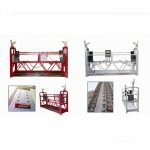 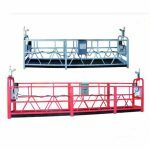 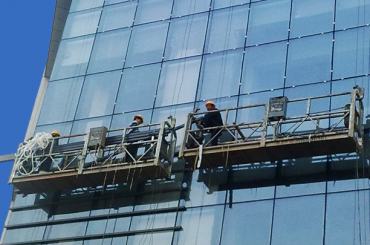 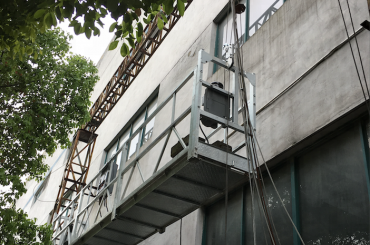 Mast climbing work platform suits for construction projects such as glass wall installation in air, outside wall decoration, celling installation and wire casing fixing work, because it work stable and safe, easy to install and replacing suspended platform and scaffolding platform in some areas. 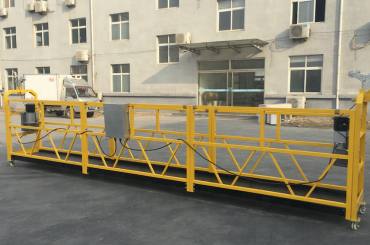 Length and width can be changed according to customer's requirements. 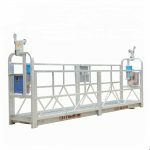 Equipped with manual landing system, which allows the platform to be drive down manually while electric power off.